Case Interview basics. There are seven major areas of preparation and knowledge that you must master to crush your case interview and get an offer from a top firm like McKinsey, Bain, or BCG. Drop even one of these areas, and you likely will miss out on your opportunity – and you’ll enter an 18-month waiting period until you can apply for another case interview. Listen to ex-Bain consultant Jenny Rae as she lays out these case interview basics you can use to prepare. Case Interview basics. It’s really fun to think back over the last 10 years, where we’ve gone deeper and deeper into insights about firms, about consulting case interview processes, about the ways that different schools think about and prepare their students for consulting case interviews – but ultimately, a lot of this comes back to the case interview basics, and if you don’t know your case interview basics, it’s really difficult to know how to get started in your plan for consulting. So, today, we’re laying out seven major areas that you can make sure you check off in terms of your preparation and your knowledge before jumping into the case interview process. The case interview process is a huge investment. It takes time, and many people who are successful also spend money on books and digital resources and coaching to help them be successful. You want to make sure that you’re ready to go. What Firms do Case Interviews? Point number one – what firms do case interviews? You are likely to get a case interview if you are interviewing with almost any consulting firm. That’s where case interviews generally started, and it’s where they’ve stayed, and it’s gotten more pervasive the more consulting firms have added themselves to the mix. 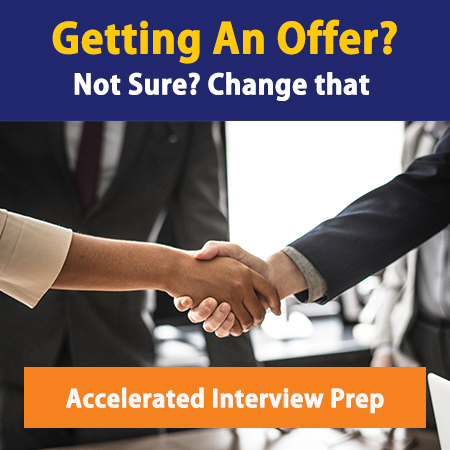 For consulting firms, you can generally expect you’re going to do maybe a mini case interview in round zero, usually two case interviews in your first round, and then two to three case interviews in your final round. In addition, internal strategy groups are filled with former consultants, and once a consultant has gone through an interview process – probably from their own bias and self selection – they identify that it’s a good way to figure out who is likely to be successful on the job. So, you’re likely to find them in internal strategy groups as well. We are starting to see case interviews pop up in government hiring, in engineering firms, in product management roles, in marketing roles, and in many other places across the business world. Those will generally specify ahead of time that you’ll have a case interview. You won’t be blindsided by it and it won’t be a surprise and they also won’t downplay it. They’ll explain that it’s going to be the hardest part of your interview, but you’re going to find case interviews across all of these different sectors, so be prepared. Point number two – what are case interviews? This is key to understanding case interview basics. Case interviews are different from standard behavioral or fit interviews. They don’t just ask you how you reacted in a previous situation. They give you a hypothetical situation, a hypothetical client, a hypothetical business problem, even a hypothetical presentation that you have to give, and they ask you to do what you would do on the job. They’re able to watch how you perform in real time, and this is incredibly insightful because somebody might say, “I did an amazing job in the past,” but as the interviewer you are actually able to see whether or not they can do an amazing job when given a new task in the future. How Long are Case Interviews? Point number three for case interview basics- how long are case interviews? Case interviews can be as short as 10 minutes and as long as one hour. The 10 minute interviews skew towards simple math problems. When I say simple, I don’t mean simple to solve but I mean the problem itself is not complex. It only has one layer or one element to the questions, such as “what is the market size of (for example) CD covers in the United States,” something that’s just a single product, a single market. It’s your job to come up with a number. Those would take about 10 minutes to solve. You’ll have the standard interviews for 20 to 30 minutes in the first round and 30 to 40 minutes in the final round. You’ll have a little bit longer in the final round, which isn’t always better; that usually just means they have more questions, deeper questions, and harder questions to ask you. Anywhere from 10 minutes to 1 hour is how long your case interview can last and it will depend on the complexity of the question that you’re being asked, as well as the tasks and the deliverable that you’re being asked for. The most advanced ones are written case interviews and those will usually take one hour or longer to prepare, and then a little bit extra – 8 to 10 minutes – to present. So, those interviews are going to be the longest ones. What Forms do Case Interviews Take? Number four: what forms do case interviews take? In our experience, there have been three main forms that most case interviews take. The first type of case interview is verbal, and that’s when you’re given a pretty open-ended scenario and you have to work through it verbally. The second type of case interview is a written format, and this will usually be in your final interview; you’ll have to go through a timed process in the office where you’ll get all of the information and you’ll have to present it. The third type of case interview is a overnight, or a longer-term written proposal, which is where they’ll ask you to present something – either a piece of work that you’ve done or something that’s a response to a specific question – but you’ll be given the prompt before you come into the office and you’ll be given a certain amount of time to work on it in advance. All three of these are really challenging, and you will need a slightly different approach for how you handle them. Our recommendation, if you’re preparing for multiple types of case interviews, is that you actually start with the verbal preparation. It’s usually the hardest and the most unfamiliar for most of us based on our work and our educational background. If you have a handle on that piece, then pulling together the written case interview and also the written overnight case interview will be a lot easier for you. What can you Bring to a Case Interview? Number five for case interview basics: what can you bring to a case interview? Probably most important is what you cannot bring. You cannot bring a calculator. Most case interviews are going to involve math, and without a calculator, how are you going to do it well? You’re going to need the other things that will be handy. First of all, you can bring your brain – definitely try to do that. Not everybody does bring his or her brain into the case interview! In terms of actual practical things – you can bring paper. You can bring something to write on, like a folder, so that you have something if you’re not sitting at a table. You can bring a pen or a pencil, whichever one is more comfortable for you to use. Usually, you’re not going to end up erasing things. You’re going to scratch them out, so pen or pencil are totally fine. And then, you can bring something to drink, like water. 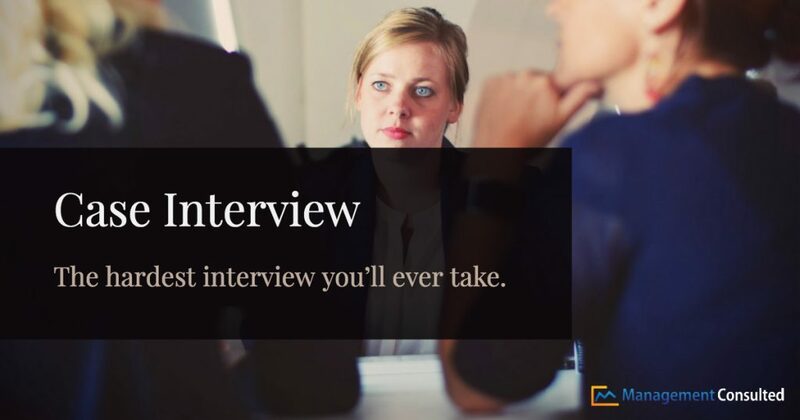 You usually will be offered coffee or water in the interview you won’t have much time to engage with that you won’t have a lot of time to sit back and take sips of water as you go, but it can still be helpful, both before the interview especially if you’re going to do a lot of verbal work, and also right after that interview. In addition, we recommend that in a small pocket or in a bag you keep your phone on airplane mode or totally off inside the interview, and some mints or some gum – something to refresh your breath in between your interviews. Do You Have to Do Math? Number six for case interview basics: do you have to do math? Yes, you have to do math. You have to do math out loud – yes you do. And indeed, yes, you actually even have to do math in your head, and this is often one of the scariest parts of case interviews. The term for the math you have to do in case interviews is mental math, which doesn’t mean that you have to be a human computer, it just means that you have to simplify math and do it without the aid of a calculator. Even in Deloitte Consulting interviews for Human Capital, you’re going to have to do math. So, you will have to do math! Be prepared for the math part, and don’t be blindsided by it. Finally, number seven: do I have to practice? I’m generally a pretty smart person, I interview very well, do I have to practice for the case interview? This is a common question that we get related to case interview basics, and our answer is: “Absolutely, yes!” In fact, from my own experience, I thought that I didn’t need to practice. Well, I thought I needed to practice a little bit, so I did one mock case interview. That was all I planned to do. In that case interview, the interviewer told me that I was the worst that she had ever seen, that there was absolutely no way that I would get a job if I only did that one interview, and I really needed that kick in the pants. Doing case interviews is really different than doing other kinds of interviews. They aren’t the backward-looking fit or behavioral interviews, and you can’t rely just on charm and personality. You have to be ready for the specific tactics, the business problems, and the structure of a case interview. If you’re interested in more information about how to succeed in the case interview beyond just case interview basics, we would love to help. If you have questions about case interviews, please reach out to us.